Kids love sandboxes, but so do animals, bacteria, and parasites. 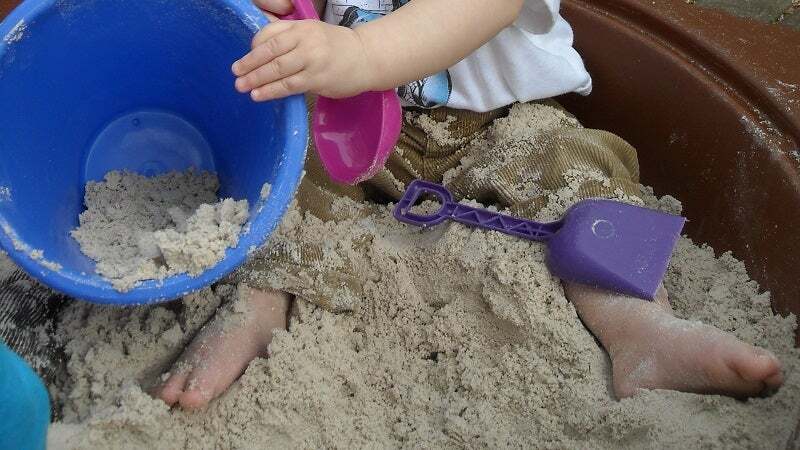 Not all sandboxes out there are dangerous, but you may want to at least check a sandbox before you let your child dive into its mysterious contents. …public health–testing organization NSF International sampled 26 different items in public places—toys at doctors’ offices, children’s library books, playground sandboxes—for a 2008 study on germs, they found that sandboxes were far and away the germiest of all, harboring nearly 2,000 times more bacteria, yeast, and mold per square inch than the door handles of public restrooms. …other microbial gifts that sandboxes sometimes leave for kids: parasitic worms. Like giant litter boxes, uncovered sandboxes invite animals—raccoons, dogs, cats—to use them as bathrooms, which essentially turns them into giant parasite Petri dishes. These parasites can include the parasitic worm Ascaris, the cat-spread Toxoplasma gondii, the dangerous Toxocara, and the raccoon-spread Baylisascaris procyonis (in which one-third of cases are fatal). Before you shun sandboxes completely, however, it’s important to know that cases of dangerous parasitic infection are usually pretty rare. Furthermore, there are a few things you can do to help keep your kids safe on the playground. Cover your sandboxes at home when they’re not in use to keep animals out, keep your kids out of sandboxes that smell bad, and do your best to keep your kids’ hands clean and out of their mouth during and after play (hand sanitizer won’t kill parasitic worm eggs, so wash with soap and water). The whole article is well worth a read, so learn more about sandbox safety at the link below.